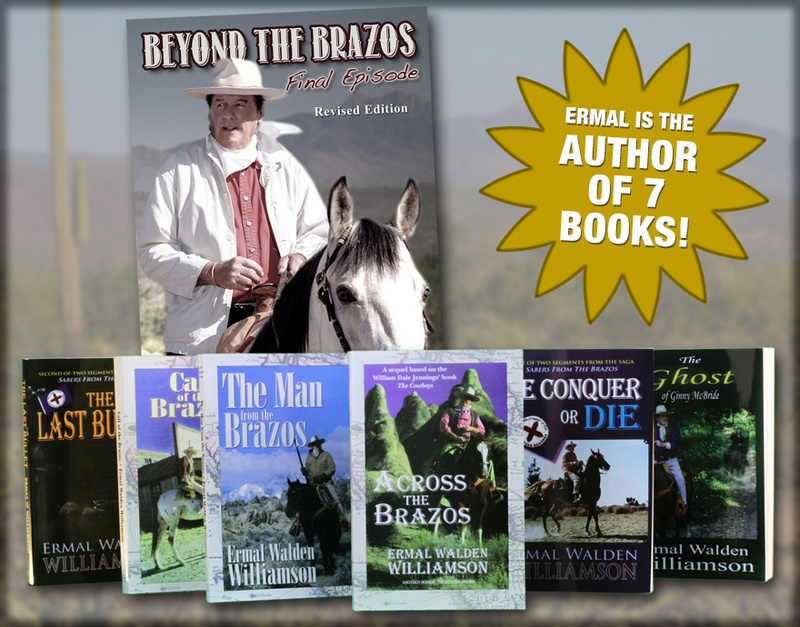 Ermal Williamson, the body double for John Wayne museum appearances, and other events , author and SAG actor, will give a talk about his Western Novels. Paula Erlene Williamson, 7-times National Female Yodeling Champion, and receiver of the “Best of the Best” IWMA Award 2019, having performed as the man event yodeler in So. Korea at the World’s First Yodeling Festival will be accompanying him with the songs she wrote and recorded for the “Across the Brazos” movie trailers. Please be assured this talk will keep the audience suspended to their seats and wanting more. Paula is also Branson’s “Tribute Artist to Patsy Cline”. In their show John Wayne Show with Patsy Cline, , separate from this night’s event, Ermal tells history of John Wayne’s life and movies. With Paula’s accompaniment, Ermal usually highlights the show with a good John Wayne recitation about his country. They are also available to bring this show to your location at another time at your convenience.